You can view our Stock List, or you can tell us what kind of product you want, we will help you to search using our network. Contact us by FAX or E-mail. Please kindly to send your company detail with TEL & FAX number. We will send you our stock list in FOB / CIF prices. We just take payment by T/T. 1. Full payment in advance. Please pay in full before the ship arrives. 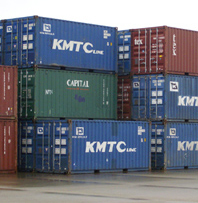 After confirming the payment, we will start loading into containers. Document copies of the commercial Invoices and Bill of loading will be faxed to the customers as soon after the shipment. Upon receiving the full and final payment the necessary Original documents including Commercial Invoices, Bill of Loading, and Japanese Registration document with English translation will be dispatched to consignee's address through fastest courier services. We will provide bank account information like account number and address during the order processing.